Used for activities of and announcements by TWC. 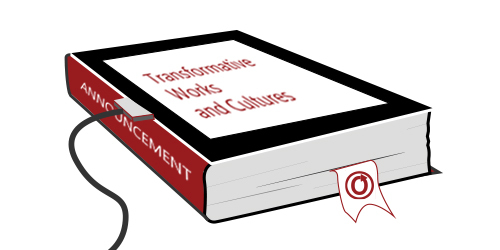 Transformative Works and Cultures has released No. 24, a special issue on Queer Female Fandom, guest edited by Julie Levin Russo and Eve Ng. The essays in this issue focus on queer women as the object of fan study. Texts analyzed include Rizzoli & Isles, Grey’s Anatomy, The L Word, Wynonna Earp, The 100, Orphan Black, and Once Upon a Time . In addition, authors discuss J-pop and K-pop musicians and independent Web series. A multimedia piece by editor Russo provides examples of queer female fan vids. 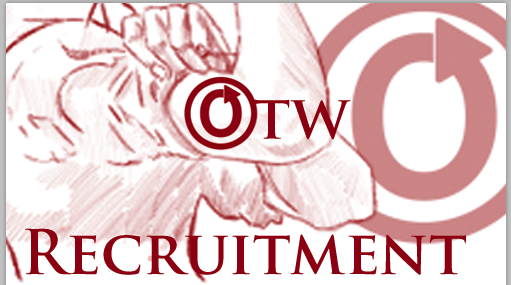 The Organization for Transformative Works is now looking for Open Doors staff, Translation volunteers, and TWC (Journal) volunteers. All applications generate a confirmation page and an auto-reply to your e-mail address. We encourage you to read the confirmation page and to whitelist volunteers -(at)- transformativeworks -(dot)- org in your e-mail client. If you do not receive the auto-reply within 24 hours, please check your spam filters and then contact us.